Please examine Exhibit A above, which is a pretty bog-standard sink. 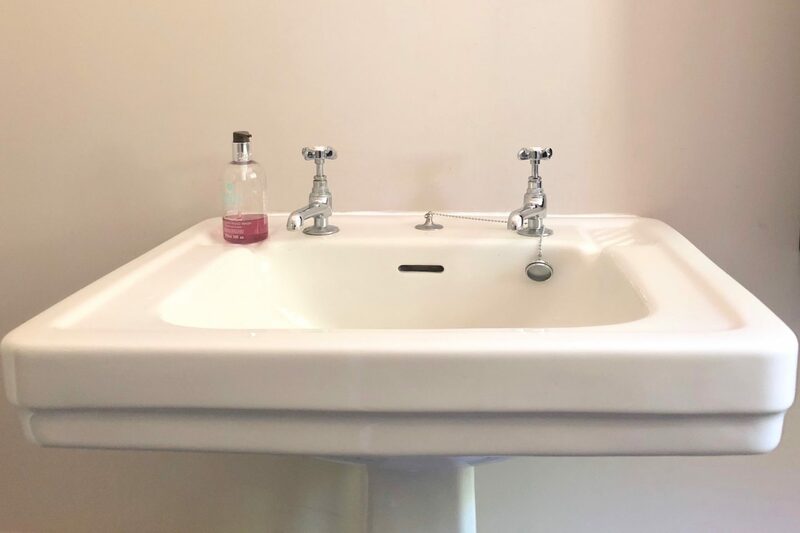 Traditional – some might say boring – in style, but infinitely useful for holding water, which is its primary purpose, or for merely providing a temporary receptacle for water should you find yourself opting for a quick handwash rather than your fill-the-basin-to-the-top ablutions. 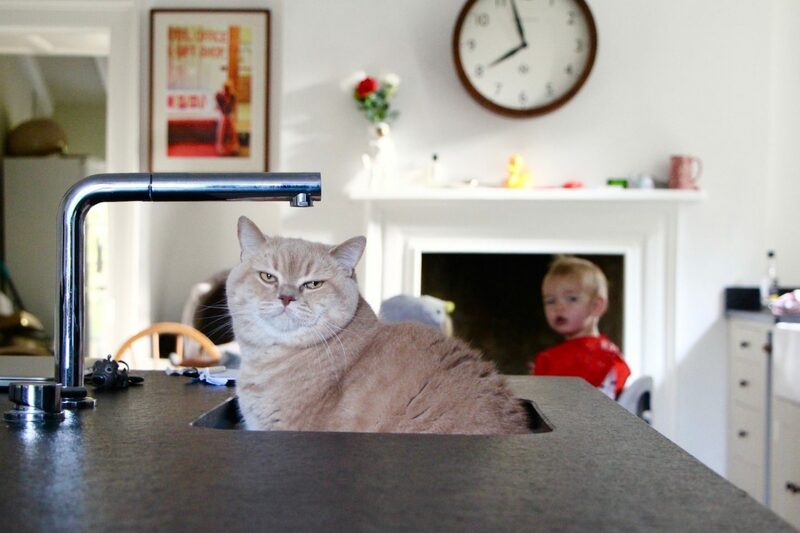 It’s a simple idea, really, isn’t it, the sink? Two taps that turn, one provides hot water, the other cold (unless it’s a mixer tap, even better) and a large, sloped-bottom container with a hole in it for the water to run out again. A rubber stopper on a chain that can be lifted in and out of the hole to allow you to either hold on to the water or release it and a small extra hole near the top of the basin to get rid of overflow should you go off and make toast and forget that you’re running the water. A no-brainer, you’d think, this sink design lark. Same with designing a bath. It’s not as though you’re trying to solve an intricate engineering problem – it doesn’t have to land on Mars and send back a soil sample, or revolve at the speed of sound without overheating. It’s just a sink and a bath. Easy. So why, then, has sanitaryware evolved into something so over-designed, so “style over substance” that it is completely unfit for purpose? Square toilets, taps shaped like pebbles, completely flat sinks – what an earth is the world coming to? I get that a bathtub is now considered to be a thing of beauty, that some people spend many thousands of pounds on one and place it centrally in their vast bathroom so that it can be worshipped from all angles. But – bloody hell – they’re not comfy, are they? These steep-sided, square-ended troughs and these completely smoothed-out shells, like a half of a white chocolate Easter egg. They’re too big to relax into – it’s impossible to get purchase with your feet on the other side, for a start, and that’s if your feet even reach the opposite end. You just slide all over the shop until your head is under the water and your feet are pointing at the ceiling. What was wrong with the tubs of old? Pastel-hued, they were easy to clamber into and small enough that you could rest your head on one end and wedge your feet on top of the taps. If you were feeling risqué, you could repeatedly insert your big toe into said tap, but only if you were willing to risk a visit from the fire brigade to release you if it got stuck. That was always the thrill. And the baths of my childhood always had a handy soap dish built in, and moulded indentations for razor or shower gel bottle or rubber duck. None of this minimalist business. A plug on a chain – something extra for your feet to fiddle with – and taps that could be turned on and off with the power of your clenched monkey toes. A metal bar to pull yourself up with, once you were finished and – depending on the style of your tub – little non-slip nodules pre-bobbled into the base of the bath. Safety first! And sinks. Sinks, as far as I remember, used to be these amazing porcelain things that held water. Inside them. You could fill them up, getting the temperature of the water just right, because there was a hot tap with a red thing on top that let you know it was hot, and a cold tap with a blue thing on top – cold – and you sort of did one and then the other and then the other one again until the water was the right temperature. And then – get this! – the sink was deep enough that the water just stayed in the bottom and you could splash your face or rinse your flannel and nothing spilled over the sides! Fast-forward to the sinks of today and some of them are barely an inch deep. What the hell can you splash in that? I went to a restaurant and the sink in the loos had no depth whatsoever – it was a pile of shiny pebbles over which the water cascaded. No tap, just this flat spout thing hidden in the wall. Aesthetically pleasing, yes, but when you want to wash your hands in more than a dribble, virtually useless. Where did this trend for stupid sinks start? Even in my new house, the sink in the main bathroom is ridiculous – completely rectangular, with the sides and bottom all at exact right angles. And there’s a problem with this, which is that if everything is flat, the water doesn’t run out of the plughole. And the joins at the side get filled with scum that you can’t remove. “A whatty what?” the shop keeper would have said. The shop keeper no doubt looked really flummoxed. Is this man dangerous? he would have thought. Should I call the police? While I’m on my bathroom rant, why does every shower in the entire world have to have a different method for turning it on and off and controlling the temperature? If I had any sort of power, I’d make it a law that all shower units have to have arrows to show hotter and colder and an instruction panel on the wall next to the knobs. If I added up the number of hours I’ve spent in my life standing at the very edge of shower cubicles, bending myself s-ways to try and avoid the stream of scalding hot/freezing cold water shooting down at the floor then I’d be into weeks, if not months. Why am I forced to de-code the mystery of the shower settings? Why is this task, which should be so simple, made so teeth-clenchingly difficult and frustrating? Imagine if the washing machine had no numbers printed on the front – you just had to turn the dial and guess which setting your clothes were about to be laundered on? You need your cottons washed at sixty? Hmm – how about forty, easy-care with an extra fifteen minutes spin? Well that’s what you’re getting! We wouldn’t ever put up with that, would we? Our delicate cashmere, scalded permanently and irreversibly on the ninety degree intensive wash. Yet we risk life and limb stepping into a shower stall that presents us with two identical and unmarked dials and three possible water outlets – will we get boiling water sprinkled down onto our scalps? Or will a freezing cold jet of water burst out of the handheld hose that’s loosely tethered on the wall at about genital-height? Will turning the top knob make the water cooler or are you about to lose the first three layers of skin on the soles of your feet?